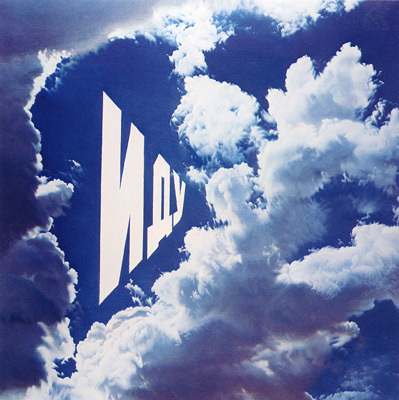 Erik Bulatov, I Am Going, 1975, oil on canvas, 90 1/2 x 90 1/2". © Artists Rights Society (ARS), New York/VG Bild-Kunst, Bonn. Following the Schirn's 2003 exhibition “Dream Factory Communism,” in which philosopher, artist, and curator Boris Groys explored the manifold aspects and impacts of Soviet art under Stalin's regime, “Total Enlightenment” moves forward in time with a comprehensive survey of Conceptual art in late- and post-Soviet Russia. Featuring 130 paintings, installations, videos, drawings, and photographs by thirty artists, including Erik Bulatov, Ilya Kabakov, Komar & Melamid, Alexander Kosolapov, and Boris Mikhailov, this show aims to define Moscow Conceptualism as distinct from its Western counterparts and to examine how its artists, according to Groys, “privately, ironically, and profanely” appropriated and exploited the official discourse. Travels to Fundación Juan March, Madrid, Oct. 10, 2008–Jan. 11, 2009. 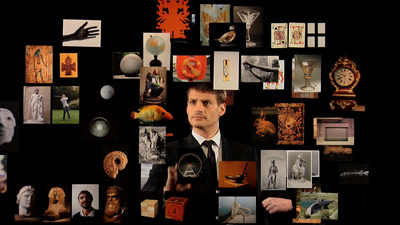 Aurélien Froment, Théâtre de poche (Pocket Theater), 2007, still from a high-definition color video, 12 minutes. As the already quaint self-image of our times as “enlightened” continues to be revealed as mere wishful thinking, the art world's increasing interest in the rites of supernatural belief comes as no surprise. “The Great Transformation”—a group show, organized by Chus Martínez, featuring the work of specialists in pop culture's complicities with the irrational, such as Allan Ruppersberg and Mike Kelley, along with contributions from the Center for Tactical Magic, Goshka Macuga, Olivia Plender, and others—attempts to take magic seriously without subscribing to its transcendental claims, using it instead as a means of investigating power relations and alternative concepts of subjectivity. Accompanied by a catalogue that further explores issues of magic, secular society, and belief, the exhibition promises a distinct experience of second-degree enchantment. Travels to the Museo de Arte Contemporánea de Vigo, Spain, Sept. 26, 2008–Jan. 18, 2009.